Pope Francis has put a video on his Instagram account. It went up on Divine Mercy Sunday. It was a short clip taken from his video-message to the Cuban people ahead of his visit in September 2015. 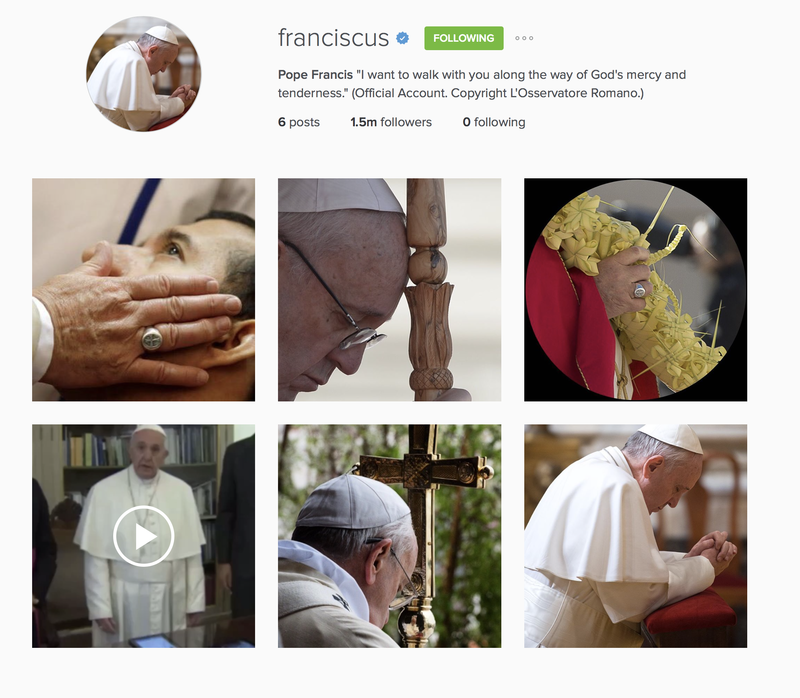 The Instagram account of Pope Francis was launched on 19 March, 2016, and currently has over 2 million followers. The account reached 1 million followers faster than any other account in history. Related: Pope Francis met the founder of Instagram in late February.